Regeneration project continues to power on in spite of a market downturn and oversupply concerns. With over 30 development sites across approximately 560 acres, the Vauxhall/Nine Elms/ Battersea (VNEB) Opportunity Area is the largest regeneration site in Europe. The project aims to deliver over 20,000 new homes, create a new commercial hot-spot in London and yet, the regeneration scheme is perceived to be one of Britain’s most controversial that even Donald Trump refuses to visit. So what exactly is going on? VNEB stretches across the south bank of the Thames, situated between Chelsea Bridge and Vauxhall Bridge. Historically, the site was used for agriculture until the 19th century, when it became a locomotive yard for the extended railway line to Waterloo. 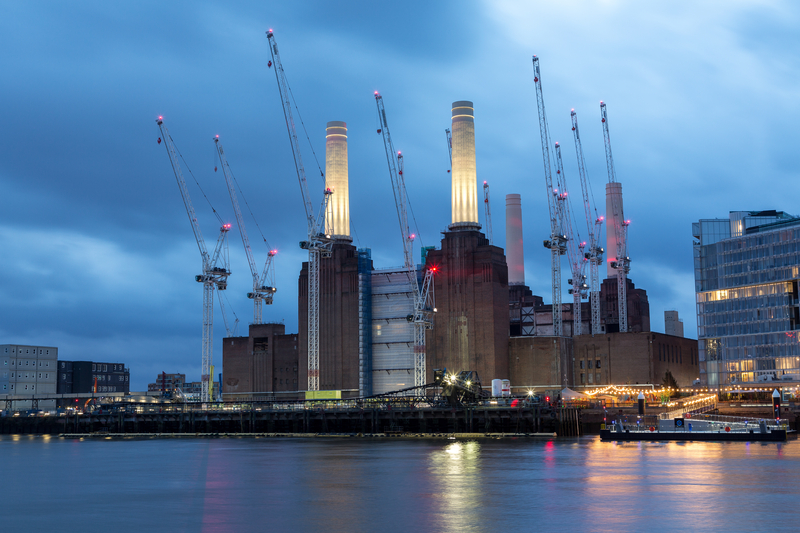 The Battersea Power Station opened in 1933, which at its peak generated 20% of London’s electricity supply until it was decommissioned in 1983. Approximately 5,650 private residential units are currently under construction in VNEB, which constitutes circa 9% of all private dwellings currently being built in London. A further 6,800 with planning approval are in the pipeline. The VNEB sales market has been active since 2011, when St. James released the first phase of Riverlight, originally asking around £900 per sq. ft. Seven years later, the average asking price across the area is now closer to £1,400 per sq. ft., with a number of the most desirable flats achieving closer to £2,000 per sq. ft. On average, a typical 500 sq. ft. one bedroom flat will cost in the region of £575,000 – £800,000, whilst a typical 750 sq. ft. two bed flat would set you back £850,000 – £1.2m. Once completed, the £9bn redevelopment of the Grade II* Listed building will provide over 4,350 new homes. The development of the power station is seen by many as the jewel in the crown of the VNEB regeneration in comparison to other developments, where the quality of specification, facilities and position vary considerably. With the exception of Trump’s refusal to come “south of the river” to open the new U.S. Embassy, the redevelopment of the iconic landmark has caused the most controversy since it was sold in 2012. The most recent controversy within VNEB occurred in June 2017, when the developer dropped the number of affordable flats to 386 from 636, citing increased cost, a weak currency and a slump in London property prices. In January 2018, two Malaysian state-backed funds agreed to buy the power station for circa £1.6bn, a price that would make it the highest property transaction in UK history. The purchase promised an injection of cash to allow the now delayed and over-budget development to be completed, however the takeover has been delayed a number of times, with an extension having been granted to allow a completion by the end of the year. Apple, the world’s first trillion dollar company, is set to be the anchor tenant of the redeveloped power station. The smartphone giant announced in 2016 it would be occupying approximately 500,000 sq. ft. of office space, moving 1,400 employees from existing offices across the capital. However, with the development falling further behind schedule, it’s understood that Apple are looking at potential alternative sites, a contingency plan if the developers are unable to deliver the site for the expected 2021 move in date. If Apple did decide to pull the plug on the move, it could have a catastrophic knock-on effect to the desirability and saleability of both the commercial and residential property within VNEB. More recently, Ballymore has put the first major office building within the Nine Elms development up for sale, asking around £160m. The building forms part of the Embassy Gardens development and comprises 156,000 sq. ft., with circa 80% pre-let to publishing behemoth Penguin. With the ever increasing supply within new developments combined with the general fall of the property prices across central London since 2014, some early adopters have seen a fall in value since their initial off-plan investment. As supply has increased, we have seen a trend of better quality stock within the superior developments holding their value against the off-plan price paid three or four years previously. The same however cannot be said for weaker stock within inferior developments, which is suffering due to the oversupply of luxury flats that most Londoners still cannot afford, even as asking prices fall. Despite the many potential pitfalls to overcome i.e. buyers having to patiently tolerate ongoing construction works and the prolonged wait for an improved transport infrastructure, it’s important to remember that VNEB is no longer just a regeneration plan but a living, breathing community where both people and businesses live, operate and work. For those buyers fortunate enough to have purchased a high-quality asset, VNEB could prove to be a fantastic long-term residential investment into the London property market. Dan joined Allsop as a Graduate in 2014 having completed an undergraduate degree in Building Surveying at the University of Reading, followed by a master’s degree in Real Estate at Oxford Brookes University. 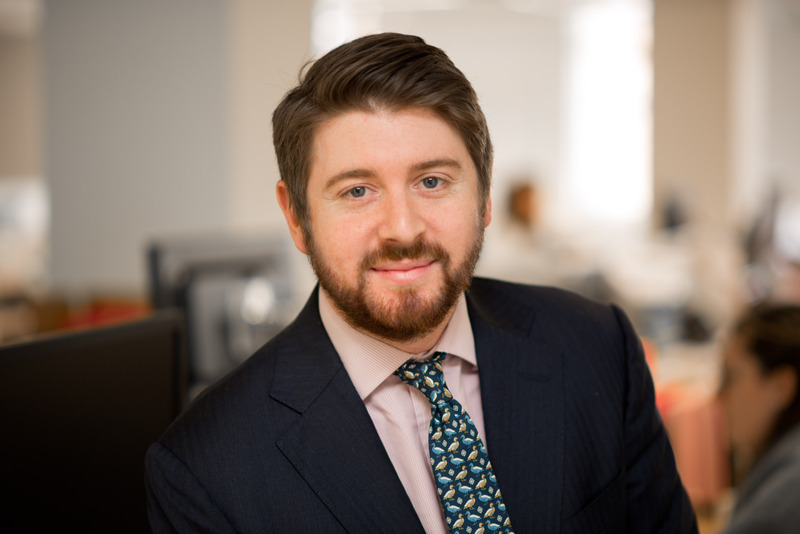 He gained experience in the Receivership, Residential Auction, West End Leasing & Investment and Commercial Valuation teams before joining the Residential Valuation team in 2016. Dan qualified as a member of the Royal Institution of Chartered Surveyors in 2017. Dan specialises in undertaking loan security valuations for high value residential properties, mixed-use properties and development sites. His clients include RBS, HSBC Private Bank, Investec, Qatar National Bank and Hackney Council.